Yesterday the occupational doctor put a restriction in her report that EJ could only lift 30 lbs. It was so frustrating that she could have trapped him at a job that was definitely affecting his health while blocking him from a physically easier job. The doctor also mentioned to EJ that he had psoriasis. He told her that the rash is not psoriasis but is caused by the coolant used at work. She didn’t listen. I don’t think much of this doctor. JJ and I were so stressed by the possibility that EJ’s could lose his chance at the new job that we had a mini tantrum last night. Last night EJ texted me from work that we had insurance until the end of March. This cliffhanging drama is killing me. It’s not that I am totally without faith. 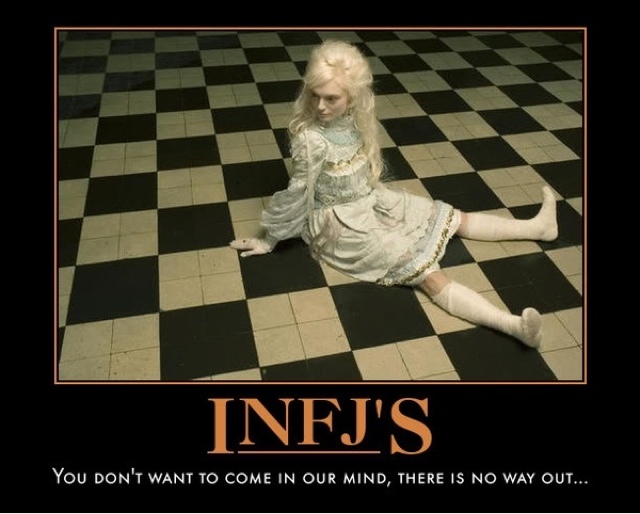 I am an INFJ personality type, and uncertainties and chaos totally drain us–sometimes to the point where we shut down. Furthermore, God has taken me through a lot of really difficult, heartbreaking, painful experiences in my life and I can handle a lot of stuff with great faith, courage, and strength. However, God often doesn’t stop at the point at which I can handle things. He keeps piling on the problems until I finally break, my faith gets messy, I ask seriously raw questions, and I desperately cry out to Him for help. At that point, I often learn very deep things about Him. The more I struggle, the more I need to release it in some way–usually through writing. I can’t just pretend that I don’t feel what I feel. As an INFJ, honesty and realness is vital to me, as is thinking deeply and asking raw questions. I wish I could hide myself away when my faith gets messy because I think that sometimes my faith is too messy, my questions too intense, and my honesty too raw for people. I don’t blame people for this because sometimes my faith is too messy, my questions too intense, and my honesty is too raw for me too. I ask questions not only about faith in general, or the faith of others, but also my own faith. 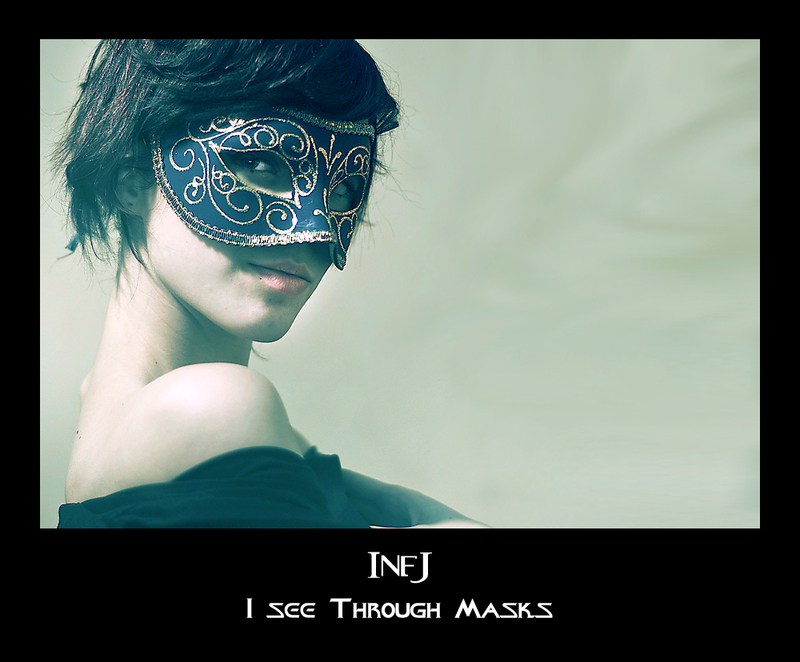 INFJs think deeply and complexly, we see many different perspectives, and we have deep insight into people. We are often said to be able to tell when someone is telling the truth or lying. However, we struggle to find words to put our thoughts, perspectives, and insight into words and we are often misunderstood. Sometimes I feel like Cassandra in Greek mythology. She was blessed with the gift of prophecy but cursed so that no one would ever believe her. 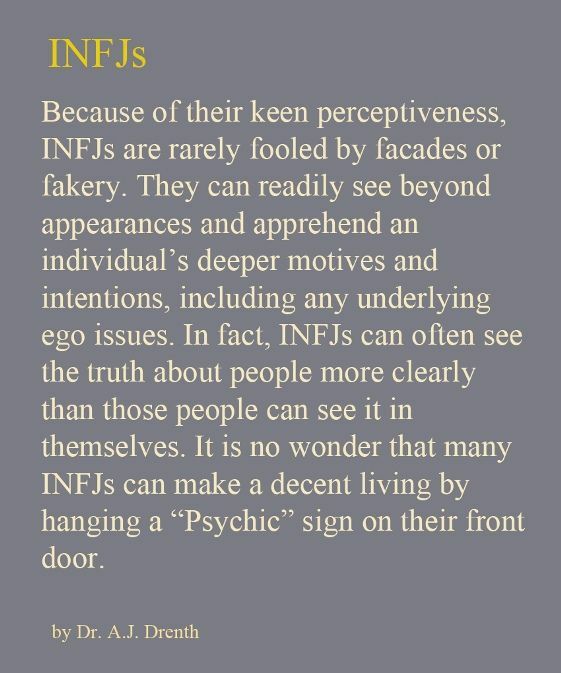 That is how it feels like to be an INFJ when we have thoughts, perspectives, insights, honesty, questions, but can’t communicate them in a way that others understand. Sometimes we don’t even understand ourselves. I used to have discussions with a friend who often said that a strong Christian–and in particular leaders–can’t reveal weakness because it would cause weaker Christians to stumble. She also sometimes manipulated and withheld truth–to the point of deception–because, she said, “People can’t handle truth.” I disagreed because the Bible says that it’s the truth that sets us free, not comfortable lies. I think that leaders who aren’t honest model hypocrisy to their congregations. How can they expect people to be honest if they aren’t? Yet, I also know that if a pastor is honest, some congregations will tear them apart because “leaders must be above reproach.” I don’t understand why we expect leaders to have more integrity than nonleaders. If we are God’s people, shouldn’t we all live with integrity? I think many churches are caught in a Catch 22 in which leaders are taught to pretend to a perfection that they don’t have (because no one is perfect), which models hypocrisy to the congregation, but congregations hold them to a standard they, themselves, don’t live up to, and if a pastor was honest, he’d be destroyed, but if he isn’t honest, he is a hypocrite. So what’s the answer? Under those circumstances, it would take great faith and courage to be real. Why can’t people be real? What power would be unleashed if we told the truth instead of hide it? But what does realness really look like? Is it telling everything to everyone? The problem is that emotional abusers often find out the weaknesses of their potential victims and then shapeshift so they appear to be exactly what their victim desires. So a person has to be careful about what he says to whom and to set healthy boundaries. Furthermore, I know people with chronic illnesses who don’t talk much about their health problems because they don’t want their illness to define who they are. They aren’t nonreal, they just want to focus on what they can do, not what they can’t. I also know people who don’t reveal their thoughts because they don’t want to be misunderstood or condemned. I totally understand this. Realness is vital to me and I strive to be real–it’s difficult for me to not. 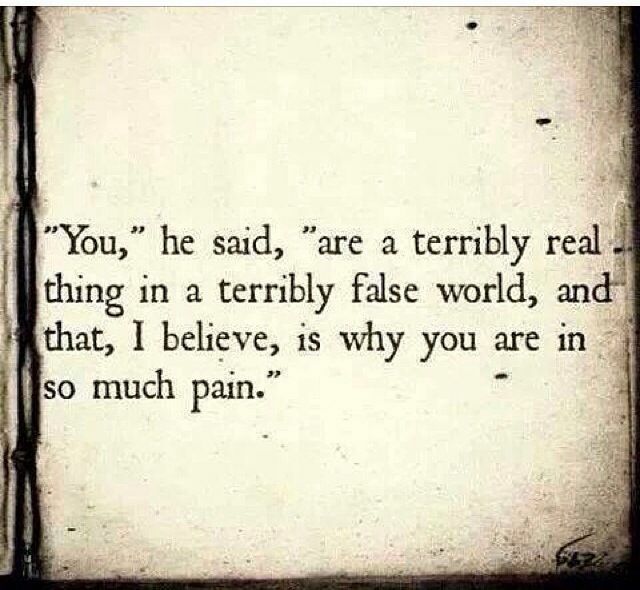 However, it’s not always easy to define realness. I don’t think it’s being nonreal to not share everything (although it could be nonreal to not share anything), but I think realness is being who you are and not deliberately living a lie. I once told a family friend that my mother had the ability to make lies sound like absolute truth. He said that he knew someone who could do that also. I said, “Really? Who?” and he replied, “Myself.” That was scary since he has always been a leader in the church. I think that there are people who truly love God and seek to follow him. I am not against believers (I am one, after all) but I am against liars, fakers, pretenders, and abusers. A former police officer, and also abuse sites, including a site that quoted a psychopath, have mentioned that predators go where the prey is. For example, child molesters will become things like teachers or clowns–that’s where their prey is. Emotional abusers prey on compassionate and forgiving people, so they go places where they find such people, which includes churches. I sometimes wonder if they go into leadership so they can groom congregations to become victims–to unconditionally love and forgive abusers without requiring repentance. Forgiveness without repentance is not Biblical. Not everyone who says he is a Christian is really one. Why doesn’t God change things? Why does He sometimes answer trivial prayers and not desperate prayers? Why do evil people prosper? Yesterday I wrote about a FB friend who praised God for finding a parking space for her, and I asked why God finds parking spaces for people but why He won’t help us with major things? The truth is that God cares about big and little things, and that sometimes there are good reasons to pray for a parking place, and I have sometimes prayed for similar things. This wasn’t a condemnation of my friend, but an honest question born of struggle: All over the world there are people who are enduring great suffering: Parents sit at the bedside of their child as he fights for his life, people are losing jobs and facing homelessness, people are suffering abuse of all kinds, and many other tragedies. Suffering hurts me. It seems a miscarriage of compassion that their prayers seem to go unheard while God finds others parking spaces. Why? In light of immense suffering, a parking space is trivial–whether someone else prays for it or I do. My prayers are sometimes trivial. I consider all the deep suffering that is happening around the world, and I think that even praying that we can move to The Emerald City seems rather trivial. Even so, I pray that God would allow us this new beginning to revive our spirits because, trivial or not, we are weary. I also want God to answer more desperate prayers than mine, and usually I don’t mind that He just answers trivial ones. In fact, the prayers He chooses to answer and the ways in which He does it is really His business and not mine. Sometimes maybe a person is having a truly awful day and could use a parking space. Anyway, I think that raw questions can lead to greater faith. Last night JJ was upset at the possibility that we wouldn’t get to The Emerald City and that, in fact, we could be jobless…and homeless. He ranted, “Where is God? Why doesn’t He ever HELP us? Is He even real? How do I know He isn’t a figment of our imaginations? I’m giving Him TWO HOURS to provide TANGIBLE evidence to prove that He exists. If He is God and He is real, He can do it. If He doesn’t, I’m becoming an atheist!” I asked, “What would you accept as proof of His existence?” JJ said, “Uhm….a meteorite comes streaking out of the sky and hits our porch and it’s worth a lot of money so we can move.” I said, “Please, I don’t want a meteorite hitting our porch. It might set our house on fire or be radioactive or something.” JJ said, “Ok….so maybe there’s a knock on the door and producers want to use our house as a setting for a movie, and they pay us.” “Ugh, I don’t want a bunch of people making a movie in our house,” I said. JJ said, “I don’t care. God can do it if He is real.” So JJ waited for two hours and nothing happened. I thought, “Sheesh, God, would it have hurt You to answer JJ’s prayer with some sort of tangible presence?” JJ declared “I am now an ATHIEST and I’m going to live any way I want!” and he repeated it to his friends on the Internet. Later that night, after a bit of ranting, he said, “Even if God isn’t real, I think the Bible has good principles to live by.” This morning he said to both EJ and me and to his Internet friends, “I’m not really going to be an athiest. I was just upset.” And then he explained to his friends what he believed. He had made it through his crisis of faith. and they rejoiced as the sea grew calm. I am so happy to hear that the new job worked out. I hope all the rest does too. I guess this means lots of work to get it all done. Don’t be so sure who throws the doubt and problems in your path. The powers of evil are quite honed in on times when we are the most stressed and vulnerable. Remember who holds you close and loves you most at those times. I am really happy for you to be able to move and EJ having an easier job. God’s Blessings to you all. We’ll always have Facebook and this blog, Sandy! Stay tuned for the next breathtaking twist in this cliffhanger. Oh my we are so happy for you and if you can use us in any way please let us, we are here.